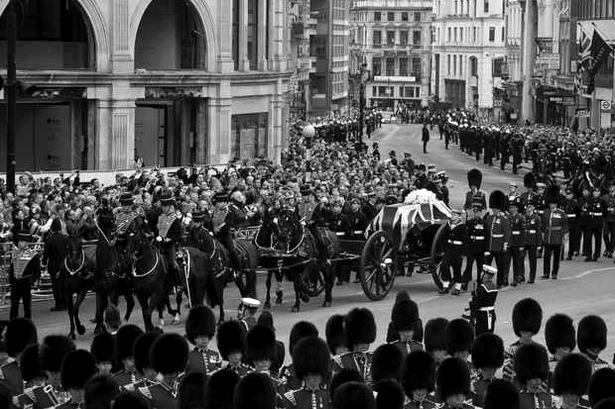 Last week was the funeral of Margaret Thatcher. She was a somewhat controversial political figure but nothing can alter the fact that she was the UK's first woman Prime Minister. 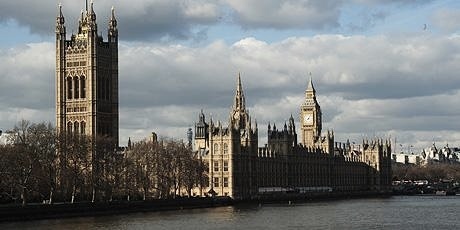 Prior to the funeral Thatcher's body was at rest overnight at the Chapel of St Mary Undercroft beneath the Palace of Westminster - these are the buildings of the British Parliament - commonly known as the Houses of Parliament or the House of Commons with the tower of Big Ben. Now here's the synchronicity bit. The last woman to spend the night in the chapel was the suffragette Emily Davison who was fighting for votes for women 102 years ago - she had the advantage though of doing so without dying! On the 2nd of April, 1911 there was a census taking place in Britain, which all of the population had to complete, this included their place of residence. Emily Wilding Davison wanted to make a point and somehow managed to hide in a cupboard of the Chapel of St Mary Undercroft in the Palace of Westminster overnight. When completing her census form she was therefore legitimately able to give her place of residence, for that night, as being the House of Commons. In 1999 a plaque to commemorate this event was set in place telling Davison's story. This would have been next to Margaret Thatcher's body as she lay waiting for her funeral. It's quite apt that the suffragette wanting votes for women, and the first female Prime Minister 'should share a night together.' No doubt something Davison could never have envisaged. 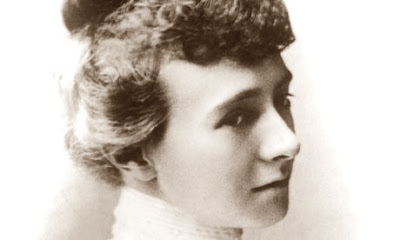 As for Emily Davison herself, she attempted to interrupt the famous Derby horse race, attended by King George V and Queen Mary, and around 100,000 race goers. In doing so she died after sustaining injuries from being hit by one of the racing horses - which, by 'coincidence', was the King's own horse. 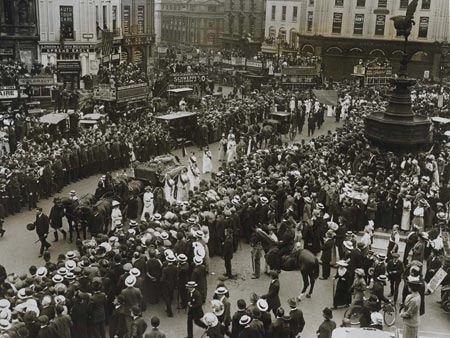 Following her death she became something of a folklore figure and thousands of people watched her funeral procession through London on 14th June 1913. Just as they did for Margaret Thatchers funeral last week. Was no Maggie fan but, as you say, she was the first woman PM. Interesting connections between her and Emily Davison. Fascinating post. I'd never heard this story. It's also something of a synchro for me. Rob just finished writing a post about new Titanic coincidences and mentioned that next year is the 102nd anniversary of its sinking. I came across this by 'accident' - I don't think I've seen it anywhere else.